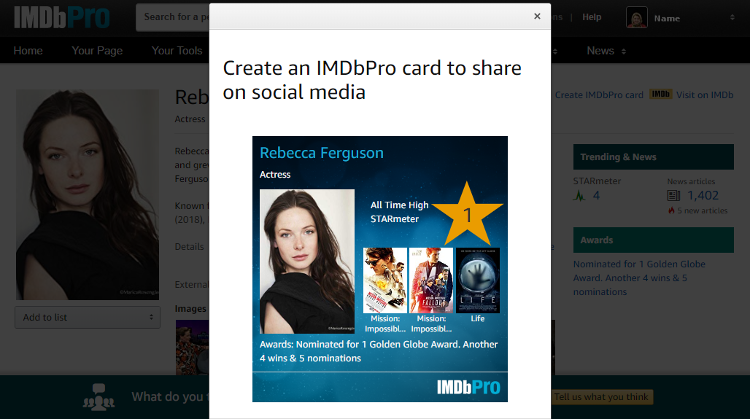 How can I share an IMDbPro Card? Visit your page or any other person's page on www.imdbpro.com or via the IMDbPro app. 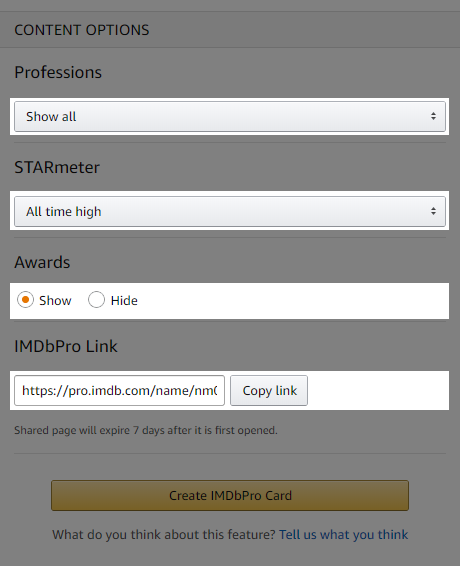 On the top-right, click on the "Create IMDbPro card" link. The card can be downloaded and shared in social media sites (such as Facebook, Twitter, Instagram, etc.) or emails. We also provide a link to the profile page, anyone using the link can access the IMDbPro profile page for 7 days after it has been opened.